Pack your bags and head to Hilton Head Island, South Carolina and some of the country’s most beautiful beaches. Whether seeking out an action-packed getaway full of golf, tennis, and watersports, or a relaxing beachfront vacation, there is a little something for everyone at Hilton Head. 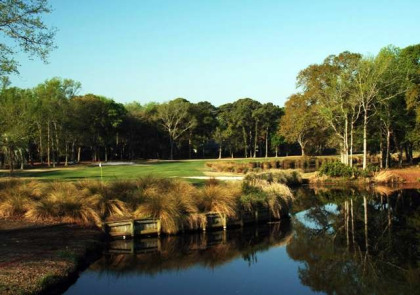 When you buy a Hilton Head timeshare for sale, you are only moments from Port Royal Golf & Racquet Club, named one of the "Top 75 U.S. Golf Resorts" by Golf Digest Magazine. 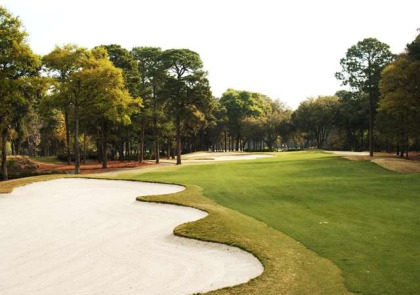 Home to some of the area’s best tennis, golf, and racquetball, Port Royal Golf & Racquet Club gives you ample opportunities to enjoy the mild coastal Hilton Head weather in the great outdoors. Visit with the golf professionals at Port Royal’s Pro Shop or simply hit the links at one of three on-site courses. Those interested in racquetball can up their game with lessons from some of the area’s top professionals. Port Royal also boasts one of the area’s first footgolf courses. Once you’ve tired from all the sports available at Port Royal Golf & Racquet Club, rest with a cold drink inside the posh clubhouse. At Robber’s Row Grill, dine with family and friends while enjoying the beautiful scenery. The menu is full of locally-caught seafood favorites, including She Crab, Classic Oysters Rockefeller, and the low-country favorite, Shrimp and Grits. Port Royal Golf & Racquet Club also boasts luxurious locker rooms, a well-stocked Pro Shop, and several practice facilities. Hilton Head timeshares for sale provide ease of access to all of your favorite area attractions. Aside from its many beaches and water-based activities, Hilton Head offers many opportunities for shopping, cultural activities, and top-notch dining. Coastal Discovery Museum is a wonderful family-friendly attraction while the Nash Gallery offers a unique look at some local art. History buffs will love a day spent at Baynard Plantation Ruins. Contact Port Royal Golf & Racquet Club Specialist Today!